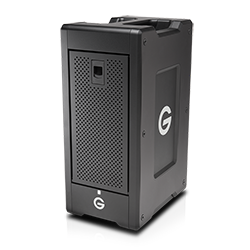 A transportable, Evolution Series-compatible hardware RAID solution with Thunderbolt 2 technology for colossal capacity that’s ready for action on location or back in the studio. 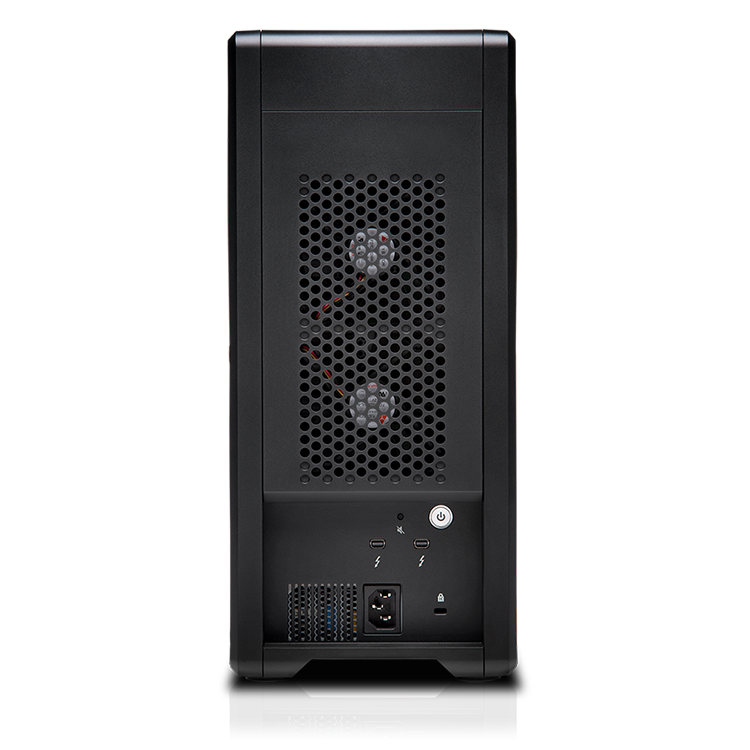 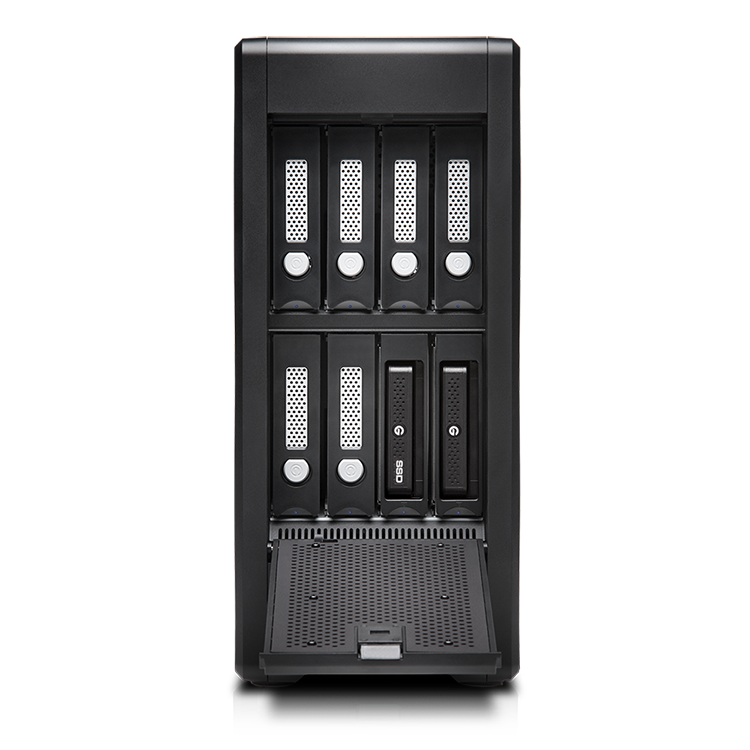 A transportable, hardware RAID, 8-Bay Thunderbolt 2 solution offering content creators colossal capacity and high definition performance. Designed to support multi-stream 4K workflows and beyond, the G-SPEED Shuttle XL can be configured in RAID 0, 1, 5, 6 & 10, features transfer rates up to 1300MB/s, Enterprise-class hard drives and the trusted G-Technology 3-Year warranty. 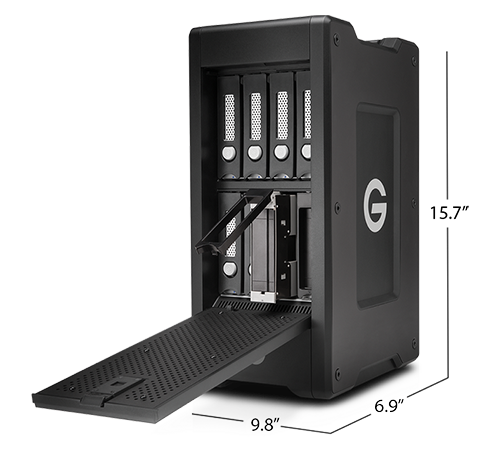 Leverage the flexibility of the Evolution Series with 2 ev Series bay adapters which allows use of the G-DRIVE ev, available in various capacities and performance including SSD. 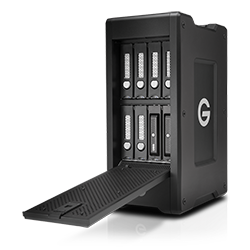 It is the ultimate storage solution for demanding video workflows both on location and in the studio. 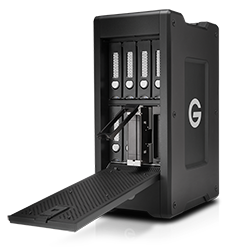 With transfer rates up to 1300MB/s, the G-SPEED Shuttle XL with ev Series Bay Adapters device delivers the performance you need to quickly ingest content and natively edit footage to make changes in real-time. 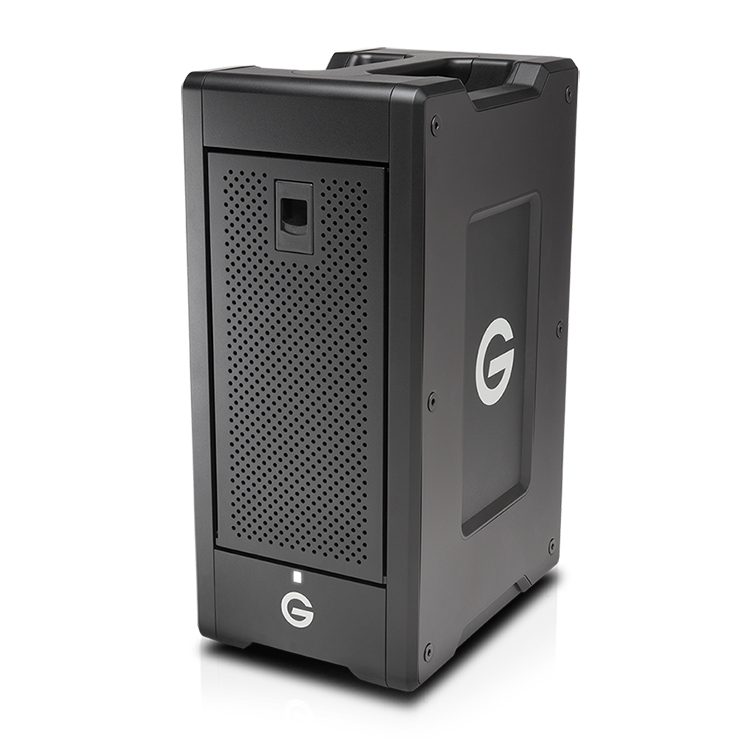 Built for easy travel between your on-site production location and to the studio for post-production, the G-SPEED Shuttle XL with ev Series Bay Adapters device delivers powerful, transportable storage to help improve your workflow efficiency, wherever you are. Built for multi-stream 4K production workflows, the G-SPEED Shuttle XL with ev Series Bay Adapters device offers the bandwidth to support multi camera editing in real time, render footage with multi-layer effects, and quickly export in an efficient workflow. 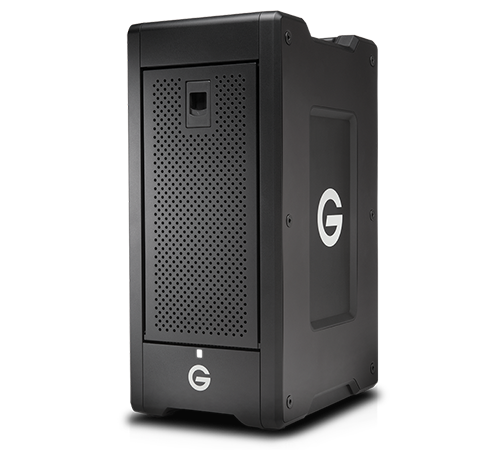 For maximum performance, the G-SPEED Shuttle XL with ev Series Bay Adapters device comes in RAID 5 out of the box and supports RAID 0, 1, 5, 6 and 10 to provide a versatile and flexible storage solution. For all your demanding workloads and mission-critical footage, you can depend on the power and enhanced reliability of six (6) removable Enterprise-class 7200RPM hard drives inside. 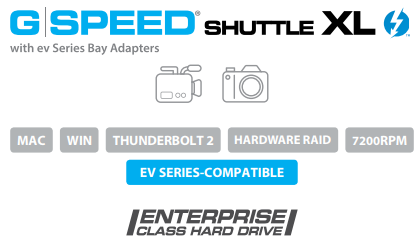 1 ev Series Bay Adapters configurable in RAID 0, 1 and JBOD only.